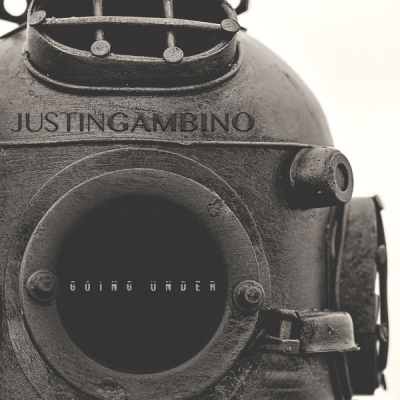 Read More Justin Gambino, a songwriter, performer and recording artist from Houston, TX, has released his latest single 'Going Under'. "Going Under was written during a time of my life where I felt like I was spiritually drowning", Justin explains. "I was preparing to take a huge step in a direction that I knew God was calling me to, but I was unaware of the details and how it was going to all fall into place. For me, I felt like I was going under. I felt like my head was under water. One thing I knew in my heart was that God was not going to leave me. It’s my prayer that this song is a reminder for those that feel as if they are drowning, to hold on tight and to know that Jesus will not leave them. That we are never too deep or too far from His reach." Gambino was born in Brazoria County, Texas, in the city of Lake Jackson. Residing there for ten years before moving to Angleton, TX. At the age of 17 and already playing the guitar and singing for about a year at this time, Gambino started to play and sing in his church Youth Group while leading worship. He then started to attend Brazosport College, Richwood in 2004, but later dropped out to start his eight year enlistment term with the U.S. Navy, where he served one tour in Iraq as a United States Seabee with NMCB (Naval Mobile Construction Battalion) Twenty Eight in 2007. When faced with the decision to re-enlist or to leave the Navy, Gambino was very passionate about his music and believed that he would go somewhere with it. A record label out of Oklahoma helped him make his decision when they called him with a record deal to sign, several months after submitting the original, “Your Love Runs Deep” from the album “Shadows” by Shattered Silence (released Feb 4th, 2014). Gambino then left the Navy to pursue his career in music, January of 2013. In 2017, Gambino left Shattered Silence as the lead vocalist/front man and embarked on a journey as a soloist. Since then, he has released his most recent projects "Where I Belong" and “Journey Within My Soul” worldwide. Gambino is a committed follower of Jesus Christ. However, his goal with music has always been to make music for everyone. He believes that music can speak where words can’t and desires to write music, not for a certain audience, but music that anyone can relate to in their own life. Gambino cites Jon Foreman, Switchfoot, Needtobreathe, Judah & The Lion, Ben Rector, Dustin Kensrue, David Crowder and Dave Matthews Band, just to name a few, as some of his musical influences. Gambino's songwriting tends to be very deep, soulful and something that tugs on the heart.